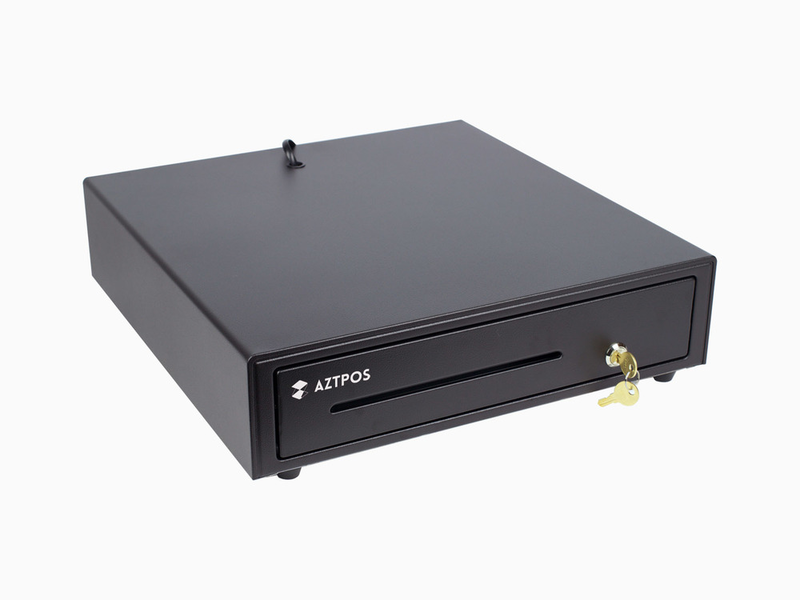 AZT TYSSO's PCD-428 durable cash drawer is made of strong steel structure with metallic clips. It measures 16" x 18" x 4", with adjustable 5-bill, 8-coin compartments, and a slip-slot for large bills and check storage, for flexible applications. The drawer is equipped with multiple interface operations to connect to a receipt printer. It also includes a position key lock for maximum cash security. The PCD-428 is a durable, reliable cash drawer at a great value.